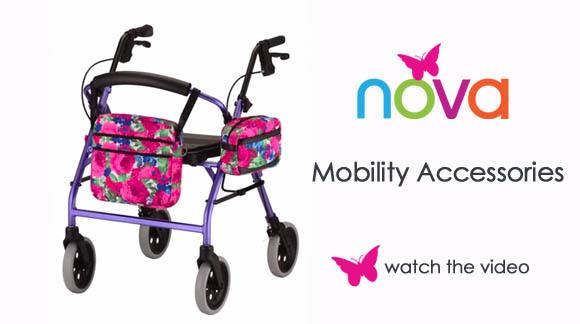 NOVA has an array of mobility accessories that come in great colors and styles that make life easier and more fun! 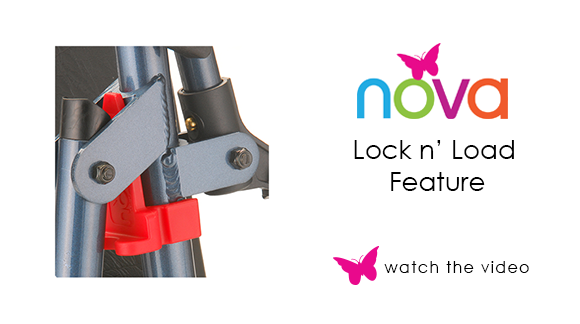 The NOVA Lock N Load keeps your rolling walker in a folded position, for easy loading and unloading. 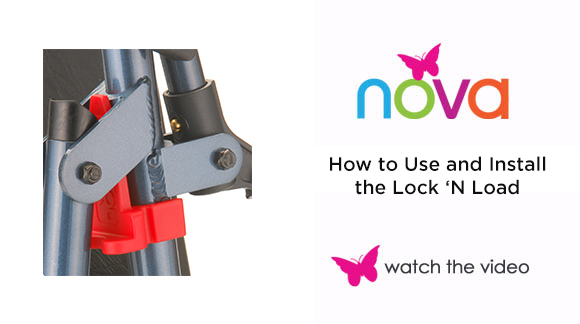 NOVA is the only rolling walker brand to develop a unique solution to a common rolling walker problem with the Lock N Load. 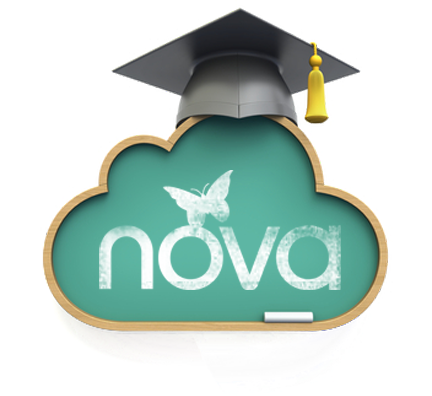 Keeping your NOVA locked in a folded position has tremendous everyday benefits. This makes it much easier to 1) Lift in and out of a car 2) For storage or travel. 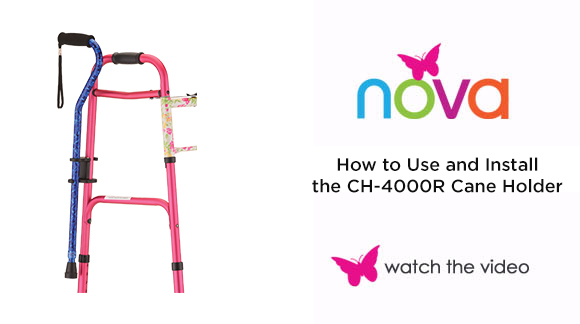 This feature also reduces wear and tear to your Nova walker and makes handling your NOVA walker much easier for the family, friends, and anyone who parks or stores your walker. Tennis balls on walkers are unsafe, unsanitary and unattractive. Unlike tennis balls, Walker Skis are made specifically for walkers. 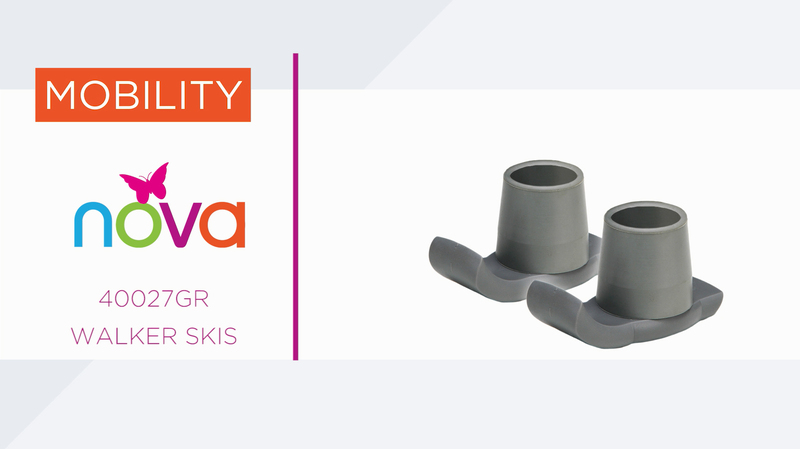 They are small, grey, rubber pieces that look like very short skis and fit on the legs of most walkers. They are durable, easy-to-clean, safe and stylish, and glide well over most surfaces and small bumps like door jams. 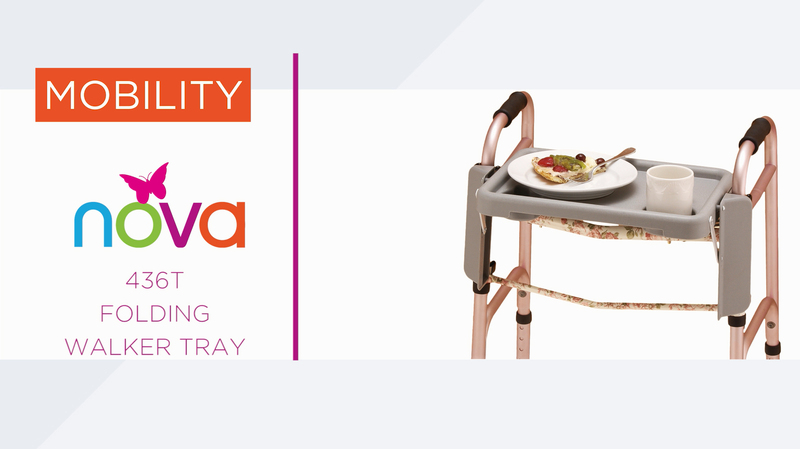 The Folding Walker Tray is the perfect accessory for your folding walker. 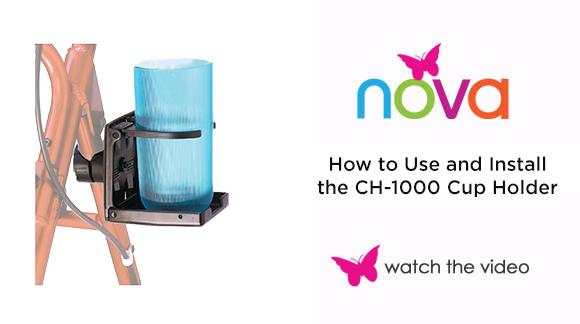 It allows you to carry items from room to room and features cup holders to prevent spills. It installs easily, and folds down when not in use. 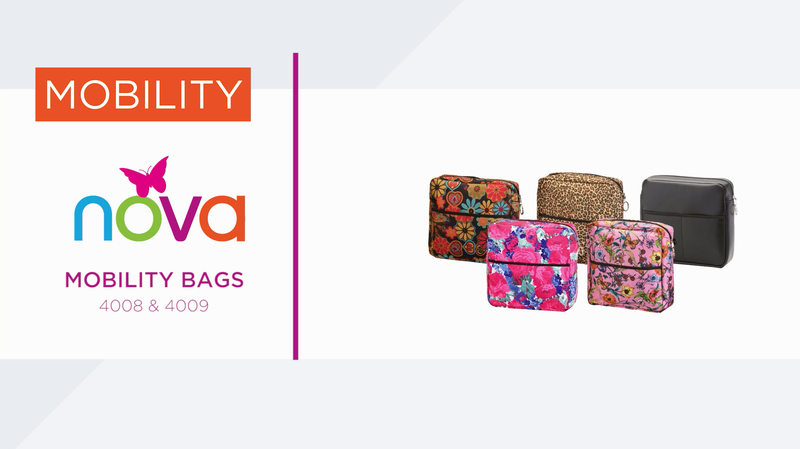 We love our Mobility Bags because they’re versatile, stylish, and keep you on the go. Mobility bags securely attach to rolling walkers, folding walkers, transport chairs and wheelchairs. 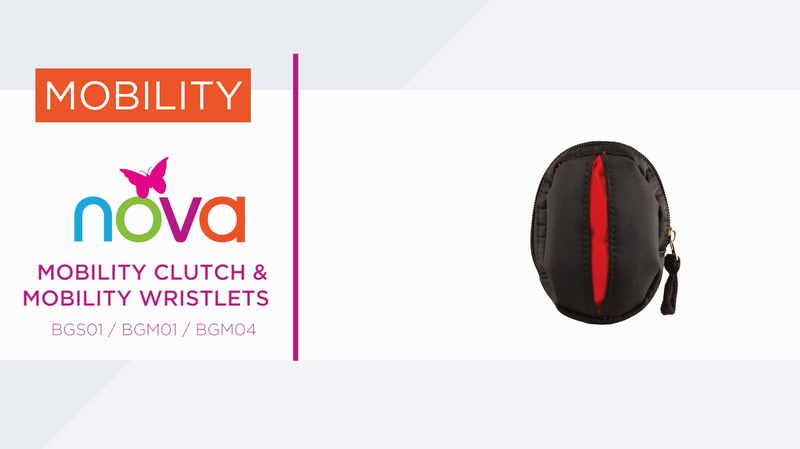 They feature a sturdy design, plentiful pockets, a key ring zipper to help easily open and close, and multiple attachment options. Choose the style that’s right for you and make life on the go a breeze – and beautiful! 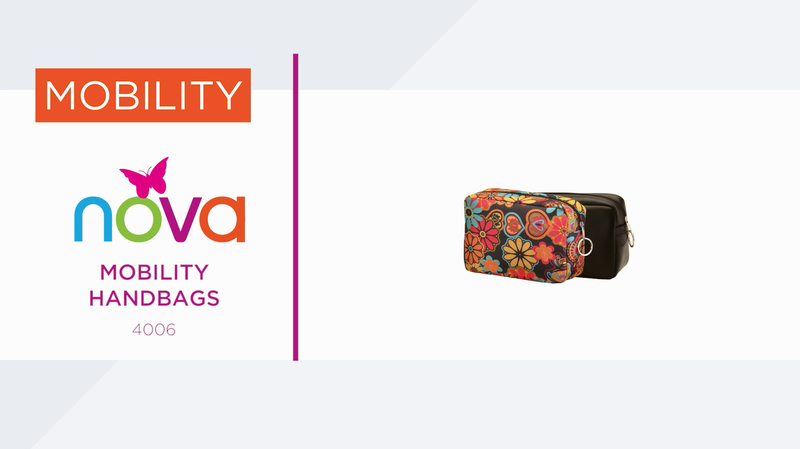 We love our Mobility Handbags because they’re versatile, stylish, and keep you on the go. 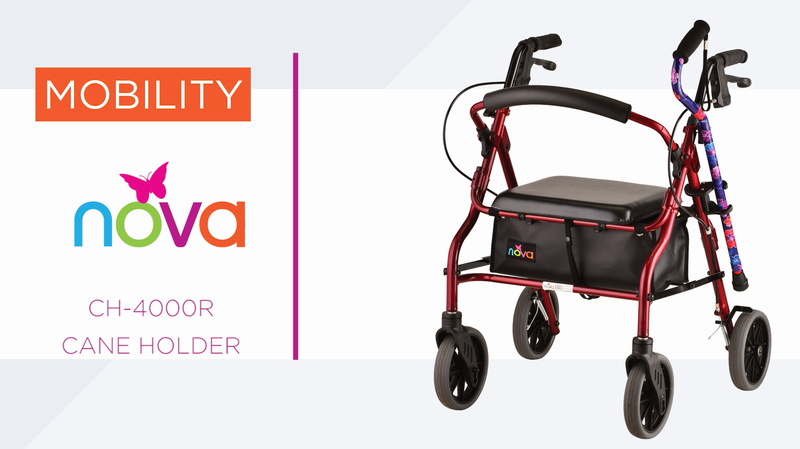 Mobility handbags securely attach to rolling walkers, folding walkers and transport chairs. They feature a sturdy design, and a key ring zipper to help easily open and close. 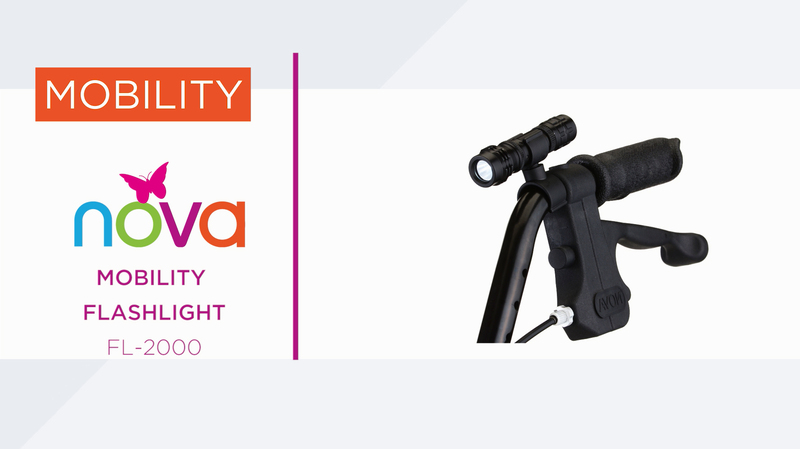 The side clip attachment keeps the Mobility Handbag safe and secured, and they come in two beautiful styles. Make life on the go a breeze – and beautiful! 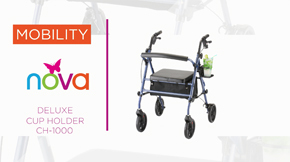 Going places with your walker, rollator or transport chair? Great! 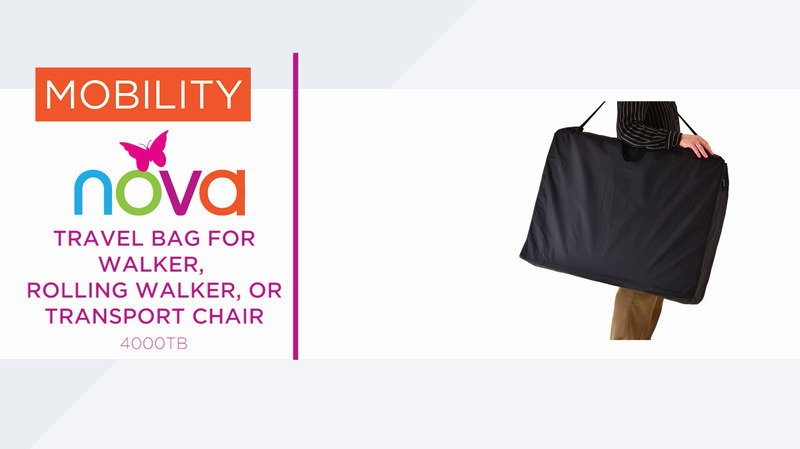 The NOVA Travel Bag is the perfect travel companion. This large, sturdy nylon bag fits most folding walkers, rolling walkers and transport chairs, and features a shoulder strap, handle straps, and a key ring zipper to help easily open and close. 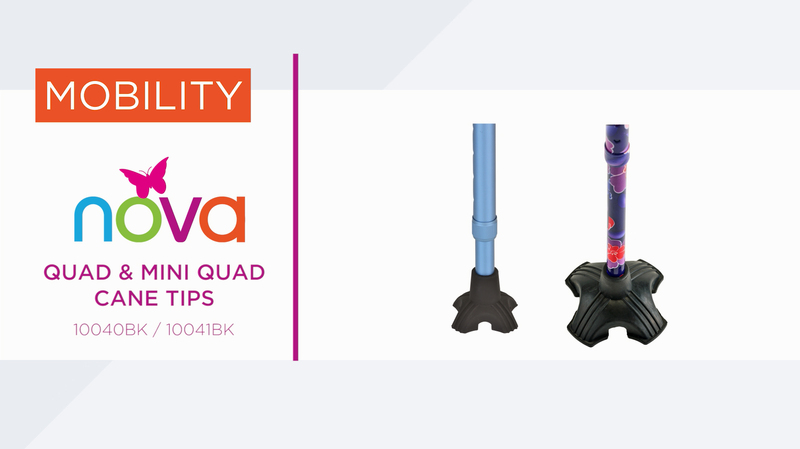 We love the Quad and Mini Quad Cane Tips because they add stability and traction to your cane on uneven terrain, reduce impact on your hand and wrist, and even allow your cane to stand upright on its own on flat surfaces. The Quad Cane Tip is extra sturdy with optimal traction and the Mini Quad Tip’s small size makes it perfect for travel. Just pair it with a folding cane and go! Our Rolling Walker Seat and Back Covers add style and comfort to your rolling walker. They come in five beautiful styles and their plush material is soft and luxurious to the touch. 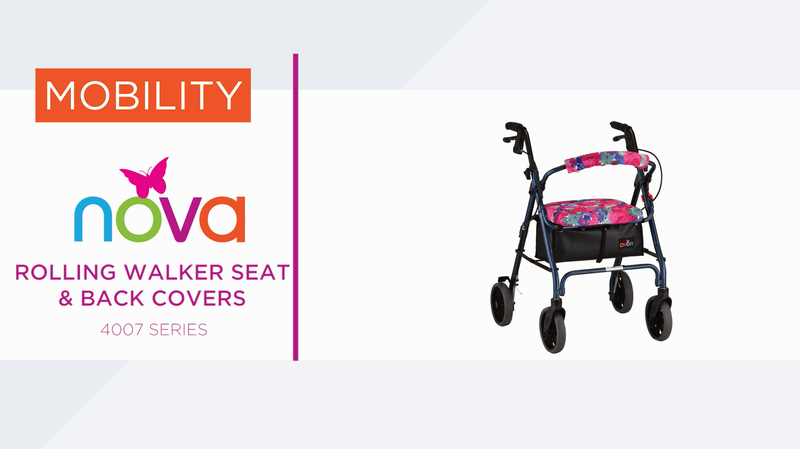 They fit on most rolling walkers with a seat and backrest and elastic is sewn into the seat cover for an easy, snug fit. We love our Mobility Clutch and Wristlets because they’re versatile, stylish, and keep you on the go. They’re great for conveniently storing keys, cellphones and other personal items. They also attach to any tube with slip-resistant Velcro and work great on a walker or cane. 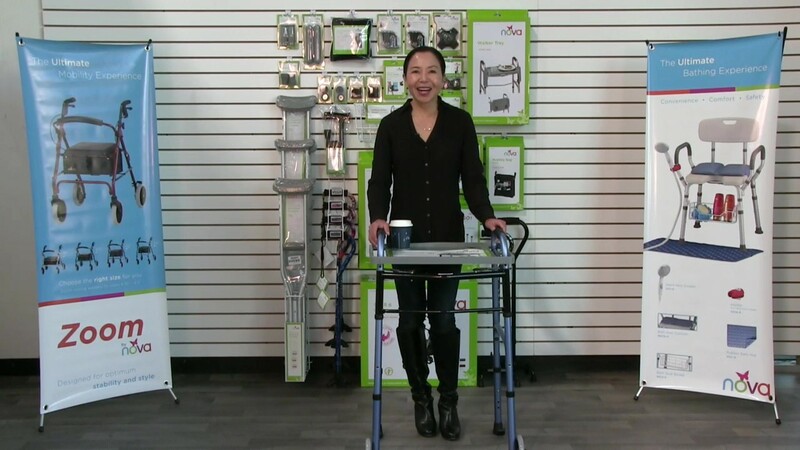 Watch the quick and easy installation of the 439T Tray for Folding Walker, and learn about its great features! 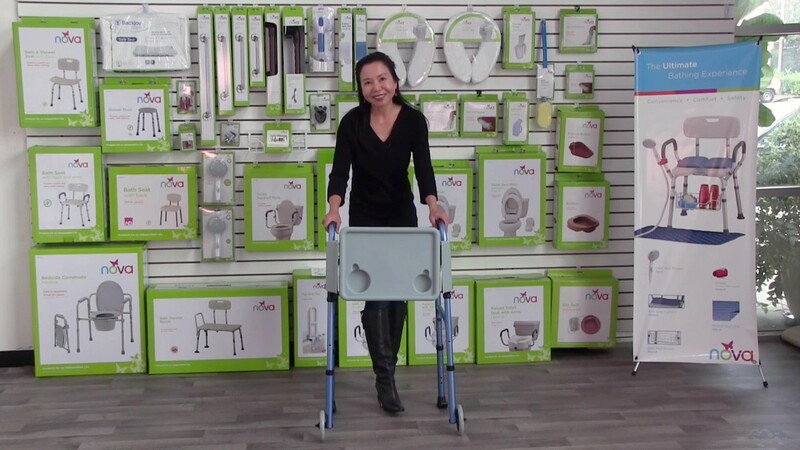 Watch the quick and easy installation of the 436T Tray for Folding Walker, and learn about its great features!